Thank you for visiting US. Our Slip-Resistant Pet-Friendly Carpet Stair Treads are easy to install. 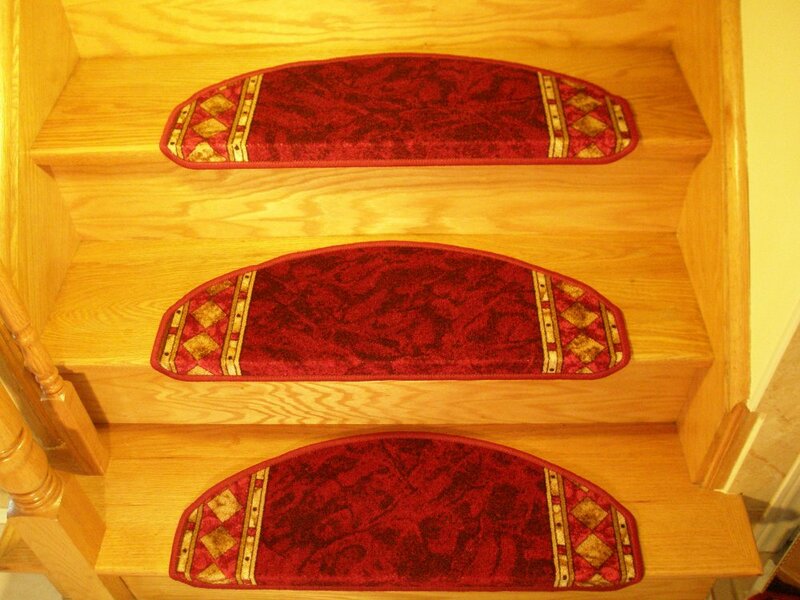 The installation of our carpet stair treads is a quick and easy DIY project. 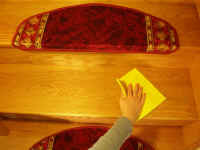 The installation of stair mats is very simple and can be done by anybody with no experience, even your kids can do it! 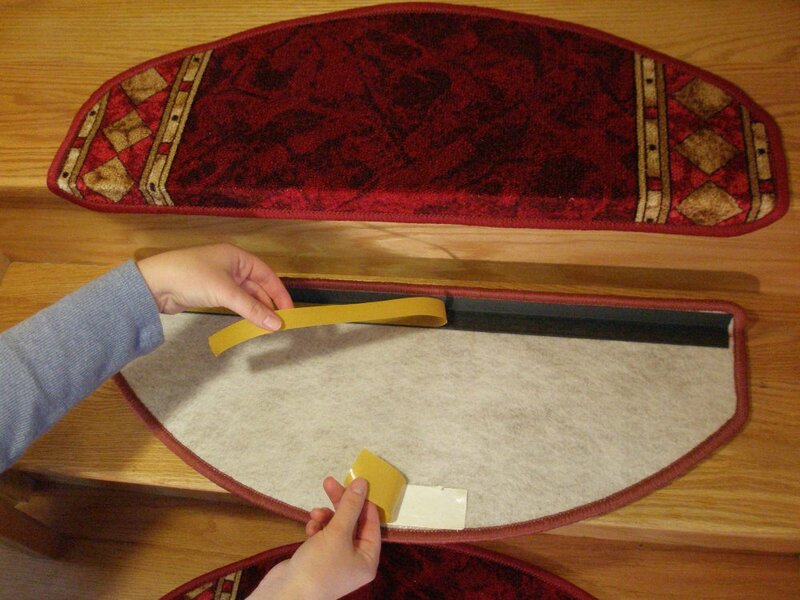 See the installation process of carpet stair treads on this page in three easy steps. It is that easy!!! 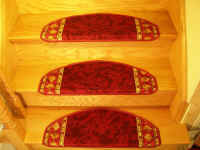 Stair mats add additional protection and unique decoration to your stairs. All our carpet stair treads are made in Europe - quick shipping from Canada locally and to the USA. 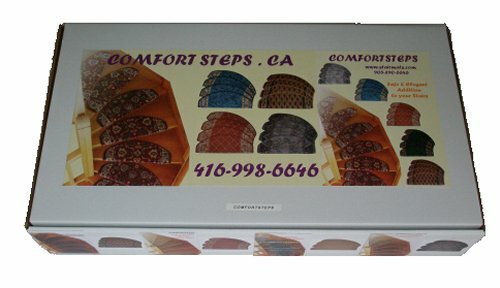 at the back of the stair mat.